That was the assessment of the 4th Circuit Court of Appeals, which has been at the center of the case since 2015. Although the court ruled against Grimm last week, largely because the Trump administration turned its back on transgender students and reneged on the U.S. government’s previous commitment to ensuring their equal treatment in American schools, it offered strong support for his cause in an eloquent order written by Senior Judge Andre Davis. “G.G.’s case is about much more than bathrooms. It’s about a boy asking his school to treat him just like any other boy. It’s about protecting the rights of transgender people in public spaces and not forcing them to exist on the margins,” Davis wrote. 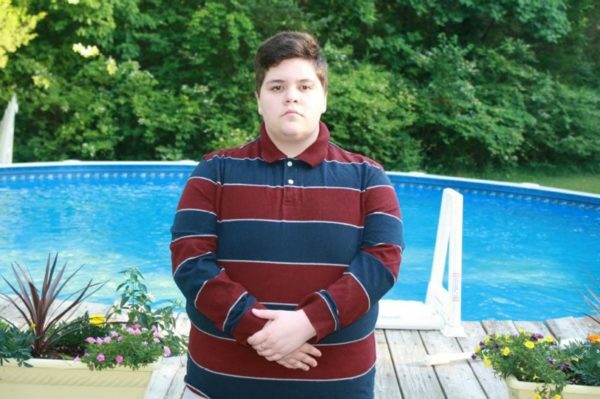 Grimm, a 17-year-old senior at Gloucester County High School, was born a girl but identifies as a boy. He has been locked in a legal battle with the county school district for years over what bathroom he is allowed to use at school. Maine Gov. Paul LePage signed on to a brief in his personal capacity, not representing the state, arguing that Grimm must use girls’ bathrooms. The Department of Justice under former President Barack Obama had supported Grimm’s case, and it issued guidance to U.S. schools in May 2016 on how to avoid discrimination against transgender students. But a federal judge in Texas put the guidance on hold after several states challenged it. In June 2016, the U.S. District Court for the Eastern District of Virginia ruled that education non-discrimination laws require that Grimm be allowed to use boys’ bathrooms at the school. The U.S. Supreme Court, however, put that ruling on hold last summer after the school board appealed the case to the high court. With the Trump administration’s about-face on federal policy toward transgender students, the case last month wound up back with the 4th Circuit for reconsideration. In the absence of federal policy supporting the civil rights of transgender students, the court vacated the June 2016 order on Friday. Despite the encouraging words from the court, Grimm will graduate from high school with his case unresolved. The slow pace and setbacks in the case frustrated the 4th Circuit Court judges. “Fortunately, the law eventually catches up to the lived facts of people,” the court order predicted. For the sake of Grimm and other students facing daily discrimination — and worse — we hope the court is right.